With the Steve Jobs’ WWDC keynote address set to take place in less than an hour, we are all quite excited to get our first look at the new iPhone. However, if you just cant wait until then to get your fix of Jobs live on stage, below is the full-length, uncut interview from D8 2010: All Things Digital that took place just days ago.In the interview, Jobs addresses the iPhone prototype/Gizmodo case, Flash and Apple’s relationship with Adobe and Google, Foxconn suicides, AT&T, and of course the iPad and it’s future. Steve also lets “kind of a secret” out by discussing how Apple actually started with the iPad before they ever thought of the iPhone. This is a definite must watch while you are getting prepared for the keynote address, which we will of course we bringing up updates on live as it happens. Enjoy! 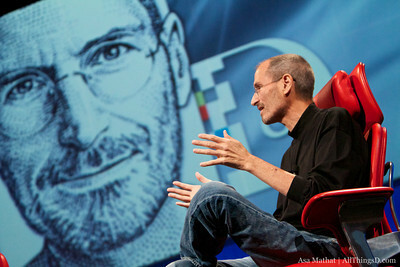 iPhone has been the most profitable product for Apple, all credit to Steve jobs! Previous Entry: iPhone 4G Leak, Pre-order Available in Hong Kong?